Handcrafting customised tales for little ones and their families is something I’ve been doing a lot of lately. It’s such an honour to work with parents to create meaningful metaphors and story lines to help their children through challenging times. And I’ve enjoyed the process so much I’ve decided to start offering this as a service. Everyone is a storyteller (whether we create them consciously or not!) and I really do believe that a parent has the best story medicine their own child could possibly need. So I’ve also included some storytelling tips and resources below that might help you in your own journey as a healing storyteller. When my boys were very little I eagerly pored through the pages of therapeutic storyteller Susan Perrow’s wonderful book ‘Healing Stories for Challenging Behaviour‘, adapting the stories as I went to suit their natures. 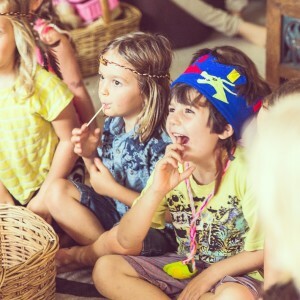 Before too long, with the help of my dear friend and inspiring Waldorf family educator and storyteller Sandra Frain, I learnt to spontaneously tell my own tales just for the boys each night. Finding the perfect metaphor that tickles, delights and genuinely touches a child is deeply satisfying work, and I’m always amazed how much stories impact not only my own children’s behaviours, but also shapes the way they ‘take in’ the world. Many of the stories that appear on my albums are healing tales written for myself and my children, and it gives me such joy to hear how many of your children are also touched by them too. So what kind of situations might a healing story help? Well, I’ve written stories to encourage a child to wear his brace at night, to help shower love on a special birthday girl, to support brothers in understanding their father’s sickness, to help a little one accept the loss of a dear friend, and to bring strength to a community suffering hardship. I really don’t think there’s any limit to how deeply and widely story medicine can work. Stories can either be written completely from scratch or ‘jump off’ one of your child’s favourite tales from any of my albums, using characters and images they already know and trust. I’m also really flexible in how we might work together. While I really enjoy researching and crafting the tale from beginning to end, I can also simply help (via email or phone) to find the perfect metaphors and story lines, then leave the actually writing in your hands. 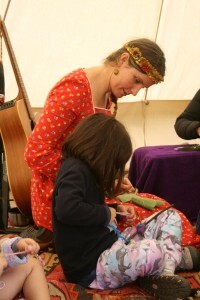 So please do get in touch here if you’d like to find out more about a handcrafted tale just for your little one. And in the meantime, please enjoy the following storytelling tips & resources below that I hope are some help in creating your own nourishing stories. The healing power of a story fundamentally lies in its metaphors. When we relate to a character or situation in some way then our hearts naturally open to the healing or message carried within the story. Yet it’s the ‘work’ of the listener in ‘finding’ these messages themselves, hidden carefully within the story, that gives the story real power. That’s why it’s so important for metaphors to speak to the child yet not so obviously that they can’t feel the satisfaction of finding the healing for themselves. A story must have an engaging plot if it’s going to be loved and listened to / requested again and again. When the message or healing is really obvious to a child it becomes distracting and some of the magic and impact of the story is lost. A really great story stays with the child and works on a sub-conscious level where the listener is empowered and may even change behaviours without ever realising there was help from a story at all. Stories that are overly ‘preachy’ or ‘moralistic’ have a hardness to them, a bit like using force or fear rather than love. While you don’t want the messages to be obvious, you do want them to be accessible, especially to the younger child. Keeping the characters and storyline engaging but simple is important and it often takes stepping out of our over-complex adult minds (but that can’t possibly happen in the real world!) and into a gentler more spacious and imaginative world where our children often live. 4. Make sure there’s a piece of you in the story. A story woven by a parent who loves and understands their child is powerful medicine. I think a parent is always the best storyteller for their child regardless of their experience or skill as a writer. Words that come from the deep places within a trusted loved one will also go straight to those same deep places within the listener. Children (& adults) absolutely adore it when adults step in to their world and delight in a little bit of silly. You might of noticed it’s a tool I often use in stories (& especially in the Storytent) to capture children’s attention and let them know you understand that part of them. BUT remember, a little bit of silly is just a tool to ‘loosen up’ the listener and carry them lightly towards the emotional heart of the tale. When I write a customised story for parents I’ll often make suggestions on how and where it might work to ‘deliver’ the story to the child in order to really bring the tale to life. If the main character is a bird then sitting quietly in the bush and sharing the story amongst a bird’s natural environment (and where you might even see the bird throughout the story) will help increase the magic and richness of the tale. I love using the voice of a Grandparent figure to bring the ‘wisdom’ or ‘healing’ in my stories during the resolution moments. We are desperately missing the voices of living elders in our everyday lives and I think stories are a wonderful opportunity to bring back this absolutely vital element of society so lacking in today’s world. 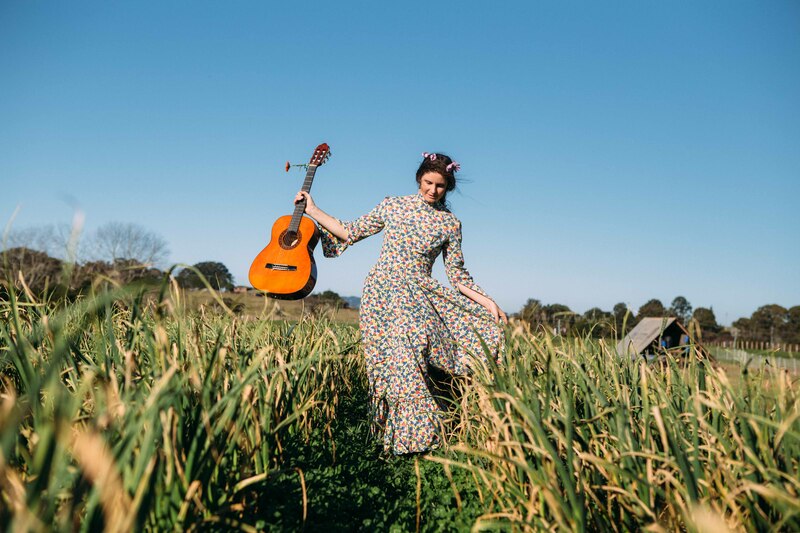 My own desire for stories based in the imagery of the Australian seasons and natural environment is what first inspired me to start writing and sharing tales and songs. Stories become really powerful for a child when they can replay and truly ‘experience’ a story again and again throughout their ordinary daily lives. 9. Make sure your stories sing! Adding a song or chant into your story brings the power of rhythm and repetition into the tale. And they’re a great way for a child to ‘keep a story’ (or the message it holds for them) close to their heart as they sing the simple few words of the song to comfort themselves when they need it. For example, “I am strong, I am free, hey Jack Frost, you can’t hurt me!” But stories can also sing without actually containing a song. Using words and phrasing in a rhythmical way throughout keep the story flowing and often make the tale more accessible to the younger listener. 10. Does the story touch you? I think the true test of a healing story is whether you as the creator feel touched, inspired, and on some level, healed, through the writing and re-telling of it. They may not always bring a tear to your eye, but you know when the magic is there, dancing in the spaces between the words, where the true story really lives. 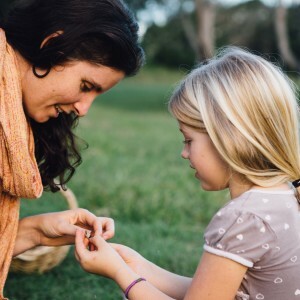 www.sandrafrain.com – Sandra Frain is a Waldorf-inspired family educator who lives and breathes therapeutic storytelling throughout every aspect of her healing and educative work with families throughout Australia, China, Vietnam & beyond. 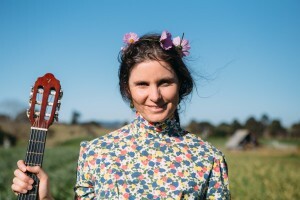 I’m a storyteller & musician currently living on the far south coast of Australia. 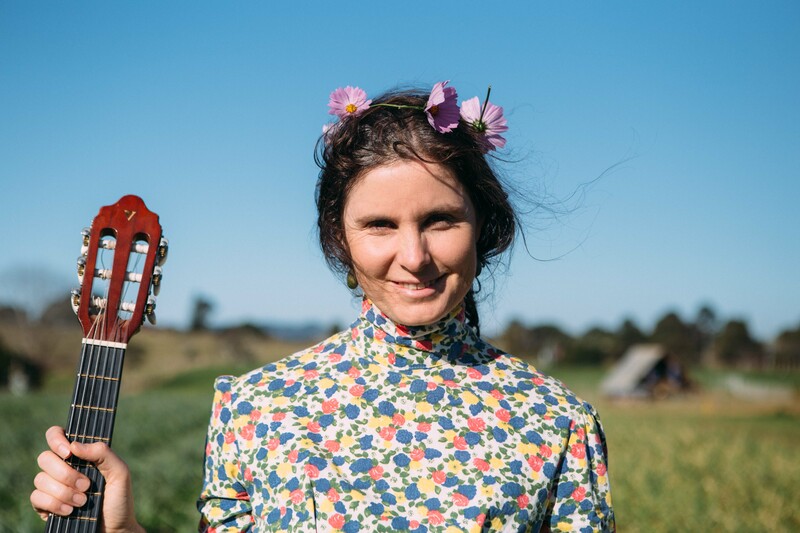 I love sharing my nature-inspired stories and songs for children in the Storytent and on The Seasonal Collection recordings as well as my new album, Listen to the Land. You can have a listen to my audio stories and songs below or click here to find out more.